Water-dispersible CBD powder is available through our southern Colorado facility. 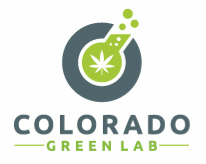 Please contact cindy@coloradogreenlab.com to recieve information on purchasing this product from a distributor. When CBD (or any cannabinoid) is engineered to be water soluble, the amount that actually reaches the bloodstream is increased. When bioavailability is increased by bypassing first pass metabolism, more CBD makes it through the metabolic procedure, resulting in an actual reduction of serving size. When people think "water soluble" they generally think of dissolving a powder in water. That is true. But, you also need to think of a human body as being water. Now, through unlocking it's availability through modification, the "water" in your body is able to absorb all of what's it's being given instead of the CBD making it's way through your gut and then being mostly wasted. ​Even in edibles that use distillate that is dispersed throughout the product, the distillate is still an oil. When that product is broken down in the process of digesting, that oil clumps back together and only the outside surface of the larger masses of oily cannabinoids come in contact with the body's membranes. ​When a cannabinoid is water soluble, the cannabinoids no longer want to come together like you might see if you drop oil in water. They want to dissolve into your body, each molecule attaching to the body's mucosal surfaces to be readily absorbed.